Just like Romania, we arrived in Serbia knowing very little about the country. Apart from the very basics, Belgrade was totally new territory to us. So our first morning in the city, we joined the walking tour to learn a little about the country we’d spend the next week or so exploring. 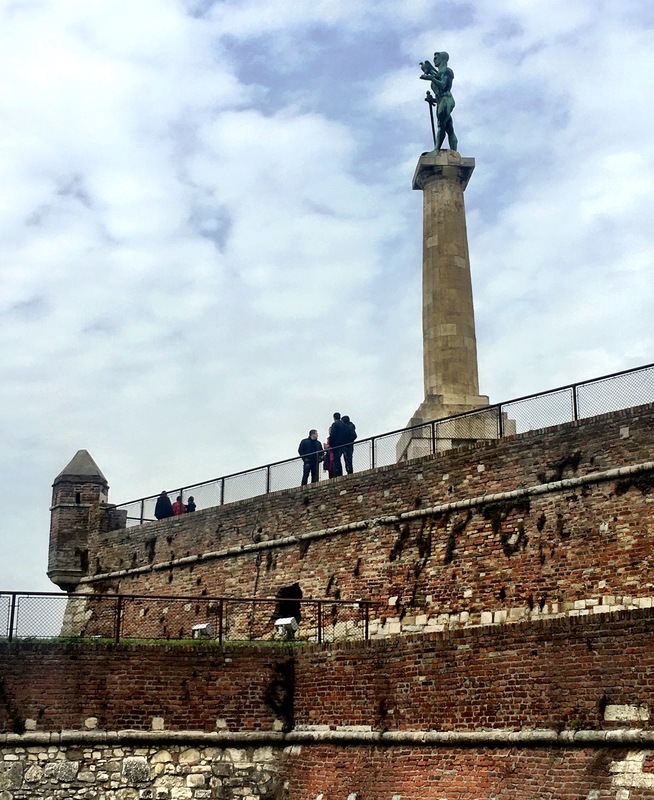 Belgrade has an insane history. Even in the last 150 years the country has undergone more changes that most countries see in half a millennia. Belgrade sits in one of the most strategic places in Europe. It is at the confluence of the Sava and the Danube rivers, two of the most important rivers in Europe. It sits perfectly at the divide of what was once Yugoslavia and the Austro-Hungarian empire. It is perfectly positioned geographically with its back to the mountains and yet sits on a plain with fertile soil. This makes Belgrade a wonderful place to control. And also, a wonderful place to fight over. Belgrade has been overtaken about a million and a half times (Ok, I’m exaggerating a bit, but it must be pretty close). It has been occupied since the Romans and continued to be a city of contention right up until 1999. It has been the capital city of TEN different countries in the past 150 years. Four of which were only in the last 25 years. In the past century, Belgrade has been bombed on over 70 different occasions. It was even the ONLY city to have been bombed by both the Nazi forces AND the Allied forces in WWII. And was most recently bombed again in 1999 by NATO. The poor city of Belgrade has rebuilt itself a total of FORTY different times in the past century. FORTY. That has got to be exhausting. Finding a building in its original form in Belgrade is a miracle. We walked past an old mosque just outside of the bohemian quarter that was built in the 16th century. I stared at the mosque in awe. The things it must have seen. The chaos it must have endured. The leadership, the destruction, the rebuilding: it’s amazing that it’s still standing there. Peacefully placed on a quiet street with rows of trees, slowly losing their yellow leaves as the seasons change. It’s hard to imagine what this city has gone through. And not just bombing. Serbia has endured nearly every political system out there. A monarchy, communism, democracy: they’ve seen it all. Not to mention, they’ve seen their currency implode due to inflation. Our guide had told us that when he was 6 years old, about 22 years ago, the country’s currency went into a state of frenzy. The deficit of Yugoslavia under Tito’s reign was horrendous. To correct things, the government started printing more and more money. They added zeros onto the end of the bills in an attempt to fix the problem. Eventually, the change became so extreme the money’s currency was changing by the minute. People had to spend all their money the moment they were paid, or the value would change and their money would be worthless. He said people would stand in line for hours trying to buy bread and oil with their latest pay cheque. But sometimes, by the time they got to the front of the line, the government had already added another 0 to the end of the money and they could no longer afford the bread. The Dinaras were soon in the multi billions. So inflated that the entire currency collapsed. You can now buy the old currency as a tourist souvenir; otherwise, it’s entirely useless. It’s true that Belgrade has had a wild ride through the past years. But it doesn’t seem to have an affect on the people themselves. 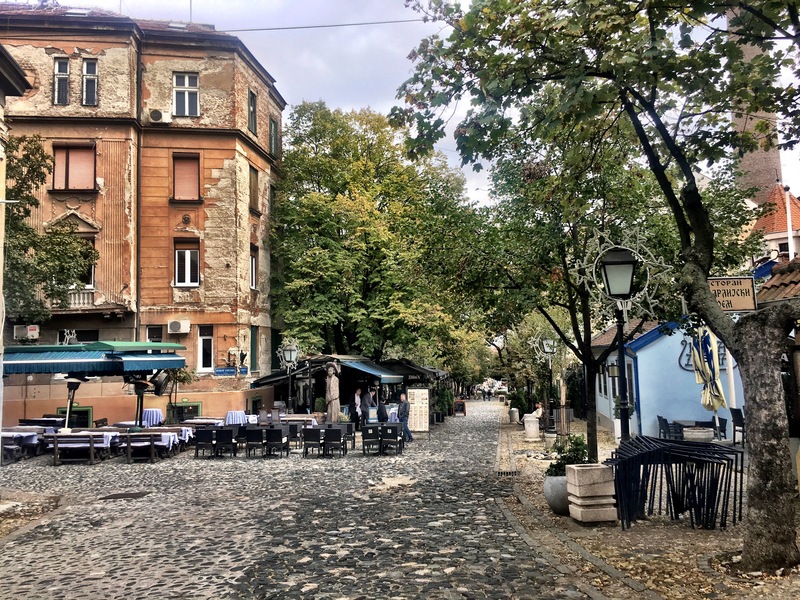 Apart from a tough, gruff exterior found in much of the service industry, Serbian people are incredibly welcoming and carefree. They drink Rakia (a popular, strong, flavoured liquor that is found everywhere here in Serbia), they are proud of their nation, despite having had so many others previously, and they are very, very appreciative of peaceful times. Overall I enjoyed my short time in Belgrade. 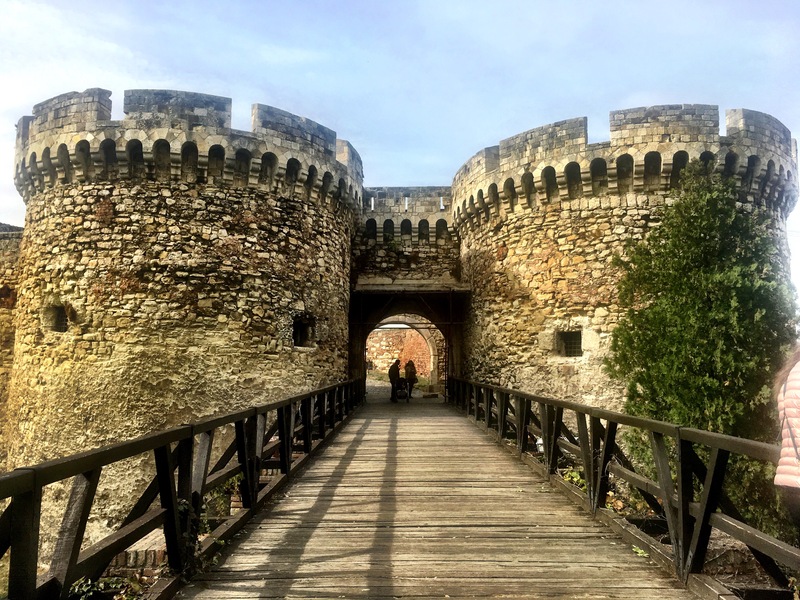 And Jodon and I were so enamoured with the country, we decided to head out into the countryside to explore some smaller regions of Serbia. Back to India... For real. Thanks Tarisai (Tsizzles) and Joe (iamforchange) for the nominations! Thank you to The Vibe 101 for the nomination! Thanks Becky for the nomination!